A10 Networks is the leader in Application Networking, helping organizations of all sizes to accelerate, optimize and secure their applications. A10's primary market for Application Delivery Networking is driven by the massive growth of global IP traffic and expected to double to $2.9 billion in four years (source: Gartner). A10 was named one of the fastest growing private companies in North America by the Deloitte Fast 500â„¢ and Inc. 500. Headquartered in San Jose, CA, A10 has offices in over 22 countries, over 500 employees and is profitable with a track record of consistent quarterly revenue growth. 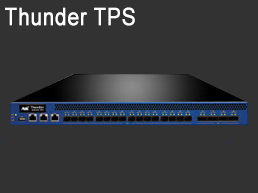 A10 Networks' Thunder, AX Series, EX Series and ID Series products solve network, security and identity management problems affecting corporations of all sizes. 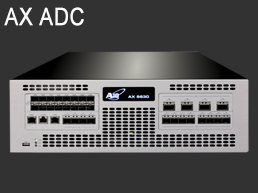 A10 solutions are high-performance and high-availability appliances specifically engineered to deliver unprecedented acceleration, identification and visibility to network activities. 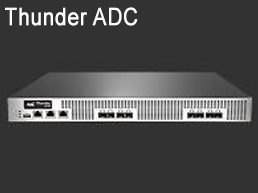 A10 Thunder™ ADC product line of high-performance, next-generation application delivery controllers enable customersâ€™ applications to be highly available, accelerated and secure. 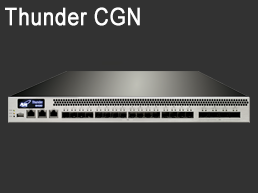 A10 Thunder™ CGN product line of Carrier Grade Networking gateways provide highperformance, highly transparent address and protocol translation enterprises and services for service providers to extend their IPv4 network connectivity, while simultaneously making the transition to IPv6. The A10 Networks® aGalaxy® Centralized Management System delivers everything that organizations need to gain network visibility and control. 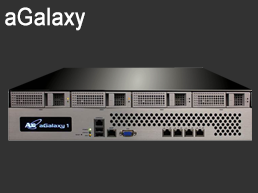 The aGalaxy line of hardware and software appliances scales to manage hundreds of A10 Thunder Application Delivery Controller (ADC) or A10 Thunder Threat Protection System (TPS) appliances, streamlining operations and lowering IT costs. DDoS attacks have evolved into bigger, more frequent, and more devastating multi-vector DDoS attacks. Most enterprises have existing DDoS security solutions that are unable to handle the volume and complexity of multi-vector DDoS attacks effectively and affordably. Tremor Videos' Senior Director of Systems Engineering, Presley Acuna, shares why A10 Networks was selected to meet their high-volume video advertising demands. IPv4 has been a major tech topic since 2011, despite IPv4 addresses becoming depleted in late 2016. Service providers must devise a strategy to preserve the life of their IPv4 infrastructure and evolve their networks to transition to IPv6. Our specialists are expert in designing Traffic Management systems and can help you create a plan for sourcing and deploying your A10 Networks solutionin. Optrics offers personalized A10 Networks Solution training - a service designed to help you integrate your A10 solution smoothly into your network infrastructure.